Corporate Executive Chef Josef Huber of the Amway Grand Plaza Hotel Restaurant in Grand Rapids won in the 28th Annual Taste of Elegance that took place on October 16, 2018 at the Michigan Restaurant Show in Novi, Mich. He received the title of Chef Par Excellence, with his dish Vietnamese Pork Curry. His dish was composed of pork shank and bone-in chop. In addition to the award-winning title, he also was awarded $1000 and a trip to the Midwest Pork Summit in 2019. 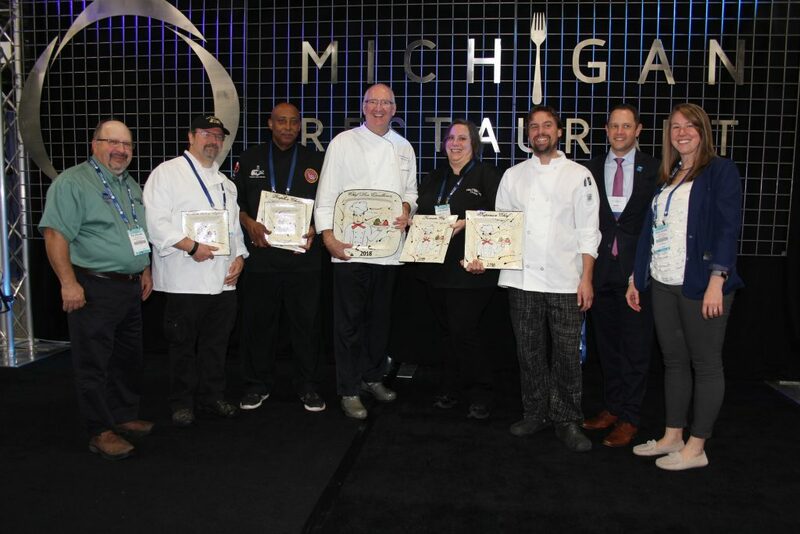 The Taste of Elegance is a competition sponsored by Michigan Pork Producers Association to bring together top chefs from around the state to create new dishes that showcase pork and pork products at their finest. The event was a delectable feast not only for the taste buds but also the eyes. This year’s contest was judged by Chef Eric Batten, Michigan State University, East Lansing, Mich.; Chef Brian Lorge, Executive Director of Michigan Chefs de Cuisine Association and Conrad Knape, Board Trustee for the Michigan Restaurant Association. Each table also had a guest judge, drawn from the attendees, who couldn’t resist joining in on the fun and the food! With dishes like Barbeque Ribs with King Solomon’s Original Meat Glaze, from Jimmy Hill of the Saffron Café, Coldwater, and Pork Belly Confit, from Robert Shipman Jr. of The English Inn, Eaton Rapids, the judges had their work cut out for them and went home full. Chef Kane Stricker from the Black Walnut Restaurant in Saugatuck came out in second with his Primitive Modern dish. To prepare his entrée, he used old school preparation methods with a modern presentation. In addition to the title Superior Chef, he also was awarded $500. In third place, receiving the title of Premium Chef was the Executive Chef Lisa Green, owner of the Canal Street Café in Augusta, MI. Her dish, Deconstructed Pork Tamale with Roasted Poblano Cream, consisted of pork shank and polenta cake with poblano cream. The audience also was an active participant in the contest as they selected the winner of the People’s Choice award. Each dish, in its final form was set out for the public to see and vote on the dish that looked the most appealing. This year the audience chose Jimmy Hill of Saffron Café in Coldwater, with his Barbeque Ribs with King Solomon’s Original Meat Glaze to bestow the honor.